As a complement to the Trend House exhibit which is at Winnipeg Architecture Foundation (266 McDermot) until August 25th, we are pleased to offer a tour of Winnipeg's Trend House. This will be a very unique opportunity to tour the house, with the permission and contribution by the house's owner, Gordon Katelnikoff. His father architect Walter Katelnikoff designed the house while at Smith Carter Katelnikoff. The houses were designed as part of an initiative by Western Woods in order to increase the market for their wood products. 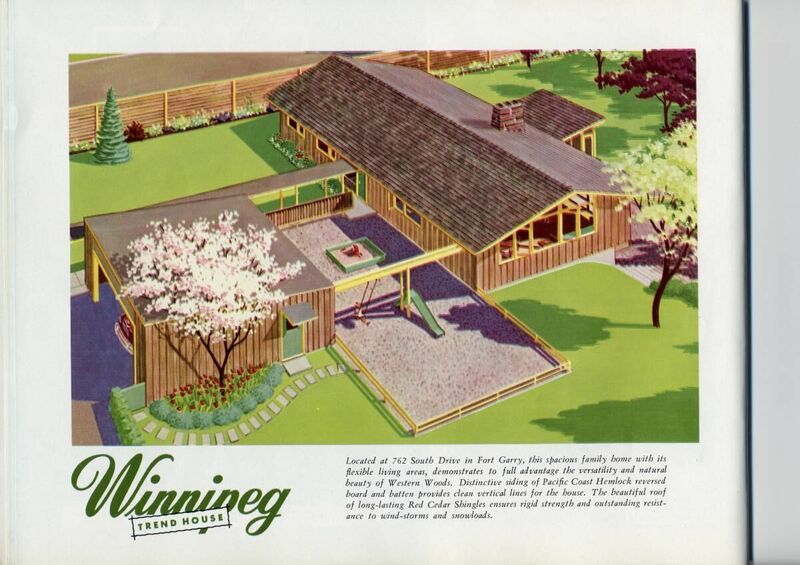 Western Woods began the Trend House program to showcase their products in contemporary, newly built, and affordable homes which were open to the public for viewing in the spring and summer of 1954.